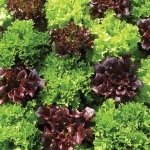 Baby fruit by the dozen on a compact plant perfectly at home in a container and mildew tolerant. Squashes, Courgettes, Marrows and Pumpkins are all members of the same family and are classified as either summer or winter squash. Squashes come in all shaped and sizes, from massive pumpkins to tiny patty pan squashes. Summer squash has a thinner skin and is quicker to mature than winter squash: some varieties can be picked as early as 50 days after planting. 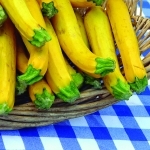 Summer squashes include zucchini or courgettes and marrows. 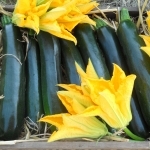 Begin harvesting courgettes when the young fruits reach 10cm long. 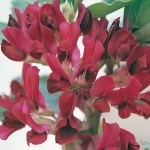 Picking young fruits encourages the development of more fruits. Leaving the fruits to reach 20-25cm produces a Marrow. To test the ripeness of the Marrow push your thumbnail into the surface near the stalk, if this is easy it is ripe for picking. Winter squash are large, thick skinned and slow growing: their fruit may take from 80 to 120 days to fully mature. In general, the larger the fruit, the longer the time to harvest. Winter squash include butternuts and pumpkins. Winter squash should not be cut until the skin is rock hard. All squash are warm-weather plants that require protection from frost. 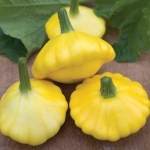 Squash seeds will germinate best at temperatures of 70° F (21° C) or higher. 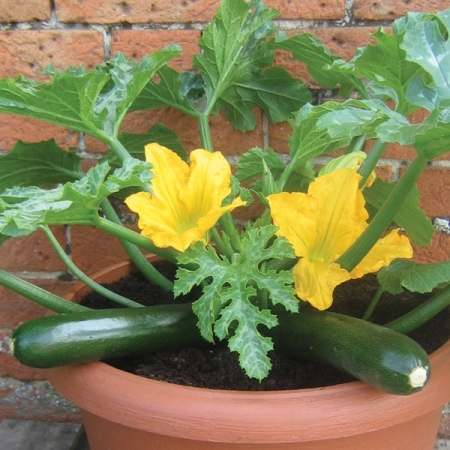 Ideally squash seed should be sown individually in 3 inch pots, two weeks after last frost. 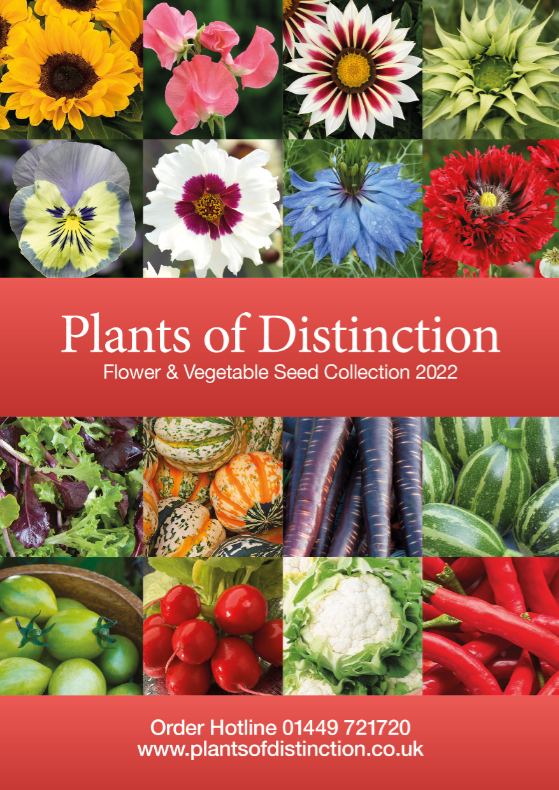 In the UK, late May to early June is the best time to move plants outside, where they can grow on and mature in pots and containers, grow-bags or in beds. 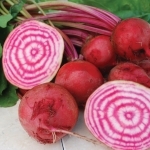 The amount of spacing required varies, but a good rule of thumb is to allow 36-60 inches (90-150cm) per plant.